The first LinkStation with WD Red. 2-bay NAS for extra Reliability and Performance. Buffalo’s LinkStation™ 220DR combines an incredibly easy User Interface with the convenience, security and capacity of dual-bay, RAID-ready Network Attached Storage. 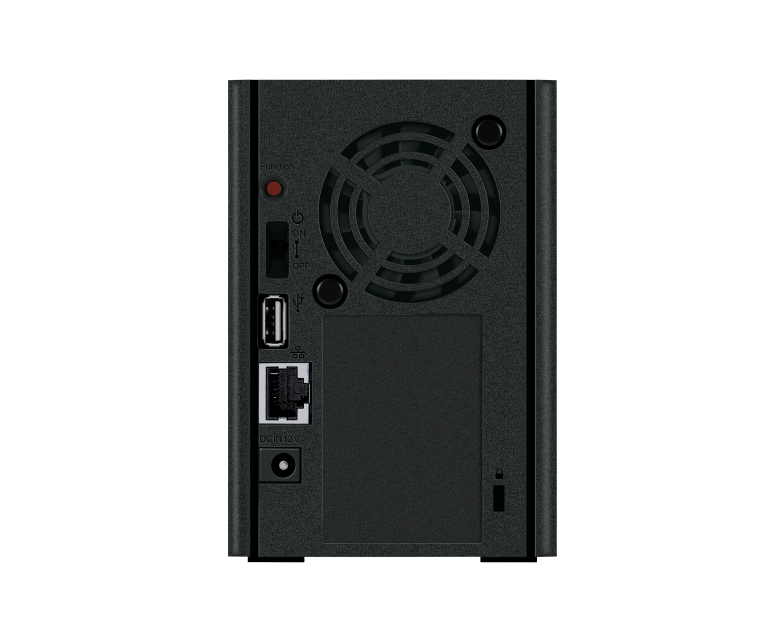 The LS220DR is affordable, fast and primed for intensive data storage tasks. It’s pre-configured and can even be set up via Smartphones with a new mobileoptimised and intuitive interface. Buffalo’s LS220DR is a 2-bay Network Attached Storage device available with 2, 4, 6, or 8TB capacity. Protect your privacy with no monthly fees. 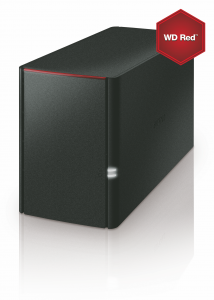 Set up LinkStation™ wherever you want and store your data in your private cloud. If you set up LinkStation™ at home, then this is your private cloud. You can access your media files via all private DLNA devices (TV, game consoles, laptops, tablets, network audio players). With Buffalo’s free WebAccess service, users can set up a private cloud on the go that allows them to conveniently access or share their data over the Internet from anywhere. All you need is a smartphone or tablet and the free app from Buffalo for iOS, Windows or Android – and you can access all of your digital assets stored on LinkStation™ Buffalo’s LinkStation™ can also stream up to four HD movies simultaneously, so that all family members can watch their favorite movie at the same time on their own device. Set access restrictions at group and user level to protect your data. The integrated Ethernet connection with 10/100/1000 Mbit/s provides high-speed network connections. Users can back up data content on up to five computers for personal or business use. Windows PCs use the award-winning NovaBACKUP® Buffalo Edition, while Mac computers use Time Machine®: Now nothing more stands in the way of data backup from several clients! Our Buffalo devices are easy to install and configure using a simple web-based interface. The Direct Copy function automatically transfers media files from your digital camera or camcorder to your LinkStation™ website. Global pioneer! Direct Stream Digital (DSD) Playback: Stream high-end audio files without quality loss. Buffalo works with major audio device manufacturers to ensure compatibility between the LinkStation and network-capable AV receivers, network players and streamers. Buffalo’s LinkStation DSD playback uses both DSD-owned and DSD-over-PCM devices for Universal Plug-n-Play*. A special cooling fan developed in Japan uses plain bearings. Hard drive bays contain a metal spring for additional stability. Download large media files directly to your LinkStation™ without turning on your PC, thanks to the integrated BitTorrent™ client. The BitTorrent™ client is based on the BitTorrent™ protocol, which regulates the exchange of large files over the Internet.